Inverter vs Non Inverter Air Conditioner, which is more reliable? High energy emission from the sun results to an intense rise in temperature from the ground, rendering homes and offices in Singapore so hot that a cooling system becomes essential. 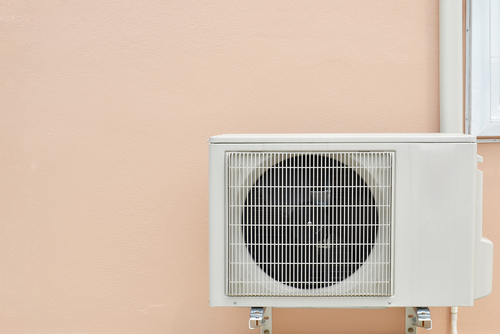 Buying the right air conditioner is a must to obtain the utmost potential of the unit to meet your needs, keep your place cool, and most importantly, give off air that makes everybody comfortable. 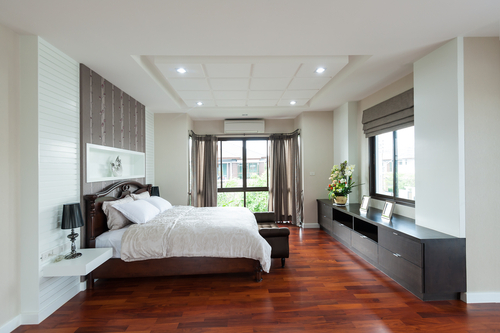 The inverter aircon and non inverter aircon are the popular options, whether you need to cool down or warm your place up, but is almost confounding to tell them apart. Hence, it is best to familiarize yourself with each type to be able to pick the best choice of air conditioner to ultimately acquire. Listed here are their main differences to help you come up with a well-informed decision and make you one satisfied customer. An inverter aircon is basically marked with an inverter rating, while the non inverter unit holds an energy efficient rating. Inverter air conditioners possess the newest technology while non inverter air conditioners are more common, and are distinctive to each other in a myriad of ways such as functionality, compressor, how each unit actually works, efficiency, built-in features, and costs. The main difference lies between the compressor motor running each type of system. The compressor refers to the part of the unit which is responsible for compressing the refrigerant into liquid form to eventually shut off and allow for expansion. Once this occurs, the refrigerant starts to cool and thereby produces the ideal cooling temperature within the area it covers. The same goes if heating is desired. Inverter aircons generally operate through a controllable compressor unit and when cooling or heating is required, the compressor works to high speeds to increase its output. Otherwise, it operates at a mere low speed and reduces the amount of refrigerant if substantial heating or cooling isn't necessary. Non inverter aircons do not present a way to control the compressor, thereby operating at either its full capacity or not run at all. As the inverter controls the compressor speed and changes temperature as required, the inverter itself is likewise designed to save electricity when in use, altogether limiting energy consumption. The way the non inverter type functions can result to excessive and unnecessary use of energy to control the current, only to surprise you with the next electricity bill with uncontrolled energy consumption. Efficiency is exhibited by the inverter aircon not only in helping you save on monthly bills, but in saving energy itself which allows you to help save the planet in your own little way. It is regarded as an environment friendly system since it s smart enough to sense abrupt changes in the room temperature, automatically working faster or slower as required and achieve a sustained environment. About 30-50 percent less energy is utilized by the inverter type compared to the non inverter type. The inverter aircon is deemed more accurate in contrast to the non inverter type since the latter works on a fixed heating or cooling power and compressor motor that operates at default speed. The unit simply turns on and off as the unit is set to whichever option. Therefore, the inverter aircon is favorable as it is more versatile and flexible as it runs according to the temperature in any room it is placed, and the speed varies as the temperature varies. This aspect is where the non inverter aircon appears to be the better choice, since the inverter type's primary drawback is the initial price to pay upon getting one. Installation costs are also significantly higher with an inverter unit. However, if you would take a closer look at the details and try to view the bigger picture, the costs involved on getting the inverter type is well worth it. The savings that can reach up to 50% is highly beneficial if you are planning to use an AC long-term, sensibly because you will surely save more with energy and you electricity bills in the long run. Moreover, the peace of mind of not having to worry about added expenses and the possible extensive costs of heating or cooling your place is unbeatable. -Works at variable speed settings where the compressor is not constantly running at full power, rather operation remains totally in control depending on room temperature for well-regulated heating and cooling conditions. -Runs in a smooth and delightfully quiet manner given the fact that it uses less power, and is cruising along maintaining room temperature and implementing adjustments as needed, instead of abruptly turning on and off. -Economic choice given its functionality, flexibility, seamless operation, and durability as it holds a longer life span compared to non inverter units. These qualities and all other aforementioned aspects makes it a reliable air conditioning system to acquire and have installed. -Works at single or a constant speed which is either at maximum or zero power where it turns off in such case. It is not designed to function automatically in regulating room temperature, and the start-stop frequency apparently uses more electricity as the unit works harder. -It can create a lot of noise during use because it is built to turn on and off every time it reaches certain temperature limits. This also elicits faster wear and tear for any system which shortens its life span compared to the contemporary and automated inverter type. -Though the non inverter aircon is cheaper to buy at first glance, it can prove to be more costly with future surprises in the huge amount of electricity bills you will be receiving, which can lead to unmanageable expenses and not being able to fully enjoy heating and cooling at your place. 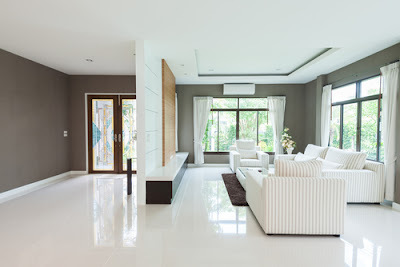 The main goal of getting an air conditioning unit is to keep yourself, your entire family, friends and guests, clients and employees, and everyone in the household or workplace convenient and utterly comfortable. This can be achieved through acquiring the right system that best suits your needs, such as how frequently and at what level it will primarily be used. Upon learning about the differences between the two popular types available in the Singaporean market today, the inverter aircon is definitely the wiser and more reliable choice. It serves as a wise investment, saving both your heard earned money and the environment while giving you one of the best things in life to fully enjoy.